Did any forum members watch , 'The Nature of Britain' on BBC 1 on Wed 10th October? Just when I thought that seals were the worst marine threat to salmon stocks, the programme revealed that dolphins can virtually play, 'cat and mouse ' with a 10lb salmon. With species of sea fish scarce inshore, how many salmon does it take to satisfy the hunger of an adult dolphin? 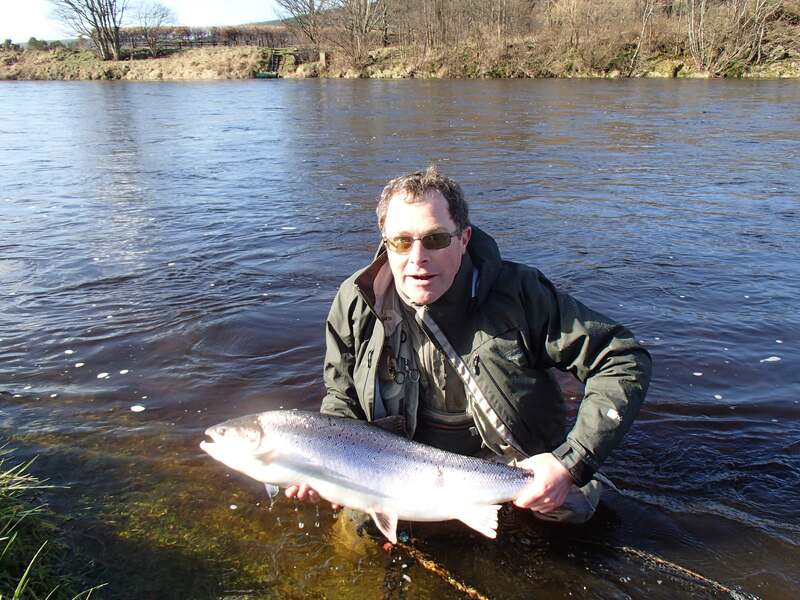 In fact can stocks survive in rivers along the Moray Firth in the face of such predation. Didn’t see the programme either but as with many things these days the TV tends to exaggerate. There have been salmon/dolphins/whales/seals in the firth and at the same time for thousands of years and they have managed fine to date. People can adopt a dolphin, perhaps we anglers should “adopt”/sponsor the release of smolts. While I do not wear badges, I’d be proud to wear a District Fishery Board badge that said I’d paid for the rearing of 1000 smolts in 2008 and be conscientious about ensuring I had one for subsequent years. I would not be in so much of a hurry to stock smolts. hello fruity I understood that the dolphins inshore along the Moray Firth were a fairly recent phenonema. Well perhaps I'll sponsor the stocking of 1000 post alevins into a currently uninhabited burn. I'm sure you get the idea. I've seen dolphins along that coast for years though I don't know whether they have dramatically increased in numbers. Would be difficult to control them as it is a Special Protection Area. The dolphins have always been in the area, it is not a recent phenomena. There's a photo of a dolphin-marked fish in this back number of the Spey Board Briefing, in which the lines of teeth marks can clearly be seen. It's hard to believe that, having had the fish this far inside its mouth, that the dolphin couldn't have killed it if it want to, so I can only assume it was playing. The Moray Firth population are also known to kill not only porpoises, but also the young of their own species. Suddenly Flipper doesn't seem quite so cuddly, does he? Just a natural part of the food chain, although I wasn't sure if the dolphins or porpoises round our shores actually ate salmon. I thought their main diet was smaller fish, such as sardines, pilchards and the like sized 'bait fish'. It is well known for these mammals love to play with things in the water, and that they are generally quite gentle with things in their mouths that they're not going to eat, so I find the teethmarks in salmon a bit of a surprize. However, nature continues to surprize me. I still think that by a few country miles man is the biggest threat to salmon stocks, whether on the high seas between their feeding grounds and the estuaries, actually in the estuarine waters and the lower rivers, and still yet within the rivers and tributaries themselves.